Parents have been warned to be aware that such a seemingly enjoyable experience could actually be causing harm to their children. A child running around playing on swings, slides and seesaws at a playground is a truly joyful sight to see. But now parents have been warned to be aware that such a seemingly enjoyable experience could actually be causing harm to their children. This is because the paint used to coat many playground items have been found to contain potentially dangerous levels of lead. 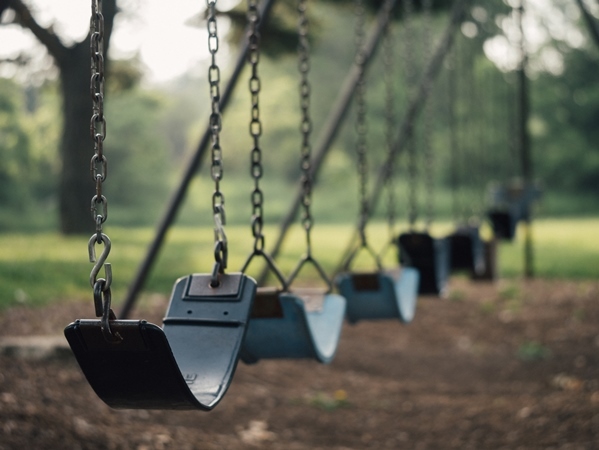 A team of scientists at Plymouth University tested samples from 47 playgrounds in the UK, in Devon, Cornwall, Somerset and Hampshire, with some less than a decade old. When they analysed the samples and the composition of the paint, they found that many had lead content which was 40 times greater than the recommended levels. Legislation drew up in 1977 stated that paint for playgrounds must not contain any more than 0.25 per cent lead. However, one most shocking example of a sample from a playground in Plymouth, which was constructed in 2009, scientists discovered it had 10 per cent lead within it. “While undisturbed and intact, coatings and their chemical components are relatively safe,” lead scientist Dr Andrew Turner said. The World Health Organisation (WHO) list lead as one of the top 10 “chemicals of major public health concern”. Children exposed to lead in high or moderate levels can suffer health problems such as neurological and cognitive issues. It was also found that the paint contained more than the recommended levels of other dangerous metals, such as chromium and cadmium. Dr Turner advised parents to “be vigilant” when their children are in playgrounds. He added that children should be made to wash their hands after playing on equipment. "Some children tend to experience the world through putting things in their mouth so parents have to be on the lookout for that too," he told BBC News.